These durable ropes swing freely... simple hardware in the molded plastic handles prevents twisting! 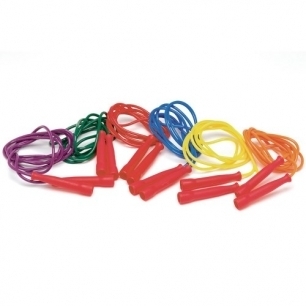 Set of 6 includes red, orange, yellow, green, blue, and purple ropes. Perfect for physical activities using colors.